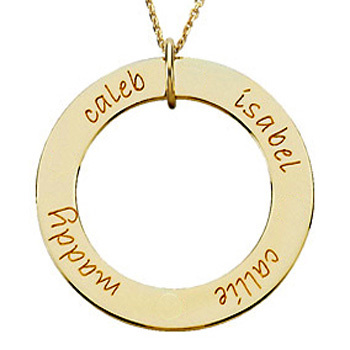 The most classy way ever to keep the names of your dearest family members right by your heart! Personalise it for someone special (i.e. yourself!) with up to 5 names or dates! A short message is able to be engraved on the back as an optional extra. Your stunning POSH Mother Pendant not only comes gift-boxed, but with it's own polishing cloth to keep it looking gorgeous!